Ive finished digging the lawn! 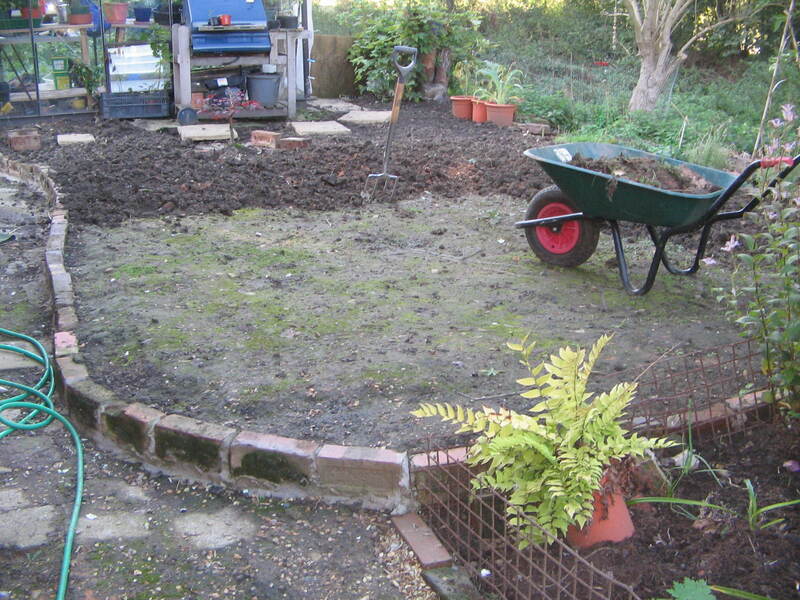 At last I’ve dug over the patch that will be a lawn – honest! Here we were half way through, but it took 3 solid digging sessions to finish it. Now all I have to do is rake and rake and rake until I get all the stones out, and believe me there are lots. The weather sounds as though it may be colder next week which is a shame though because I’d really like to seed it and I need a bit of warmth to germinate the seed….let’s see though. Pictures have arrived of the wedding party flowers I did 3 or 4 weeks ago. It was in a giant tipi, well 2 tipis joined together which was big enough to seat 110 people. It had a really nice feel about it, informal but special. And each of the tables had a ring of beautiful flowers with a hedgerow feel to them, so I added crab apples, rose hips and berries in rich red and autumn colours with a great big candle in the centre of each with 3 wicks so they added a lovely light as darkness fell. There was room for a great swag to hang from the central beam made up of red and cream roses, astilbe, i vy and more berries and greenery, but that was a real nightmare to photograph. I guess it was a couple of metres long so it kind of loses it as a picture.